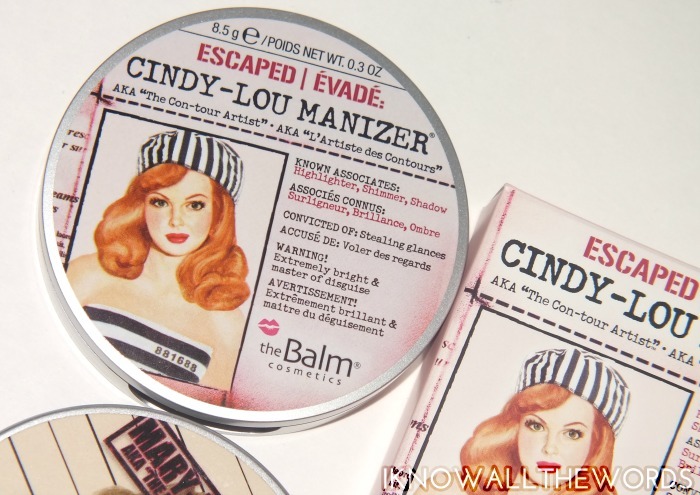 One product which seems to never cease in popularity is The Balm Mary-Lou Manizer. My review from two years ago (here) remains one of my most viewed posts week after week, and for good reason- it's gorgeous! 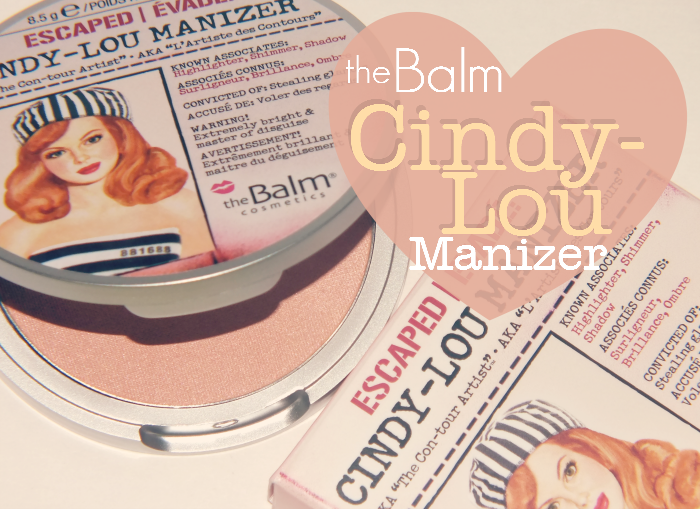 The golden highlight/eyeshadow also happens to have a companion in the form of The Balm Cindy-Lou Manizer, which recently came into my possession. So, how do the two compare? Read on for a look! Since I've transformed from a non-highlight user to a full on hoarder of them, I had to see just what Cindy-Lou had to offer. As popular as Mary-Lou is (more on her in a moment) I haven't seen/heard much about Cindy. 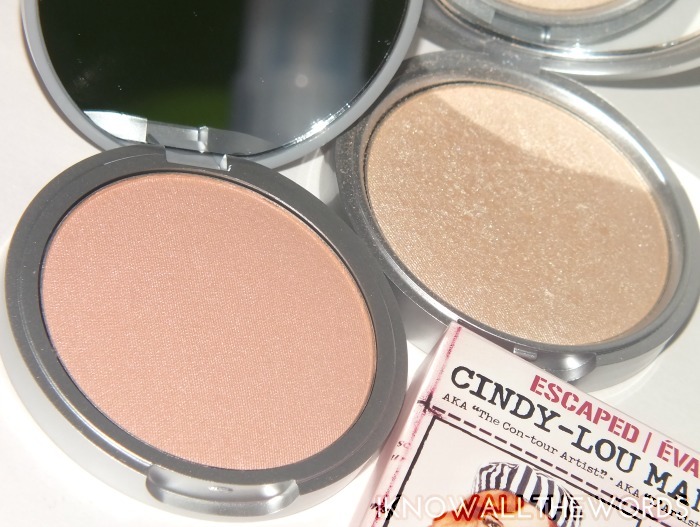 Much like Mary-Lou, the powder can be used as both a highlighter and eyeshadow, but as Cindy-Lou has a much more subtle glow, it can also work as a blush on lighter skin tones. 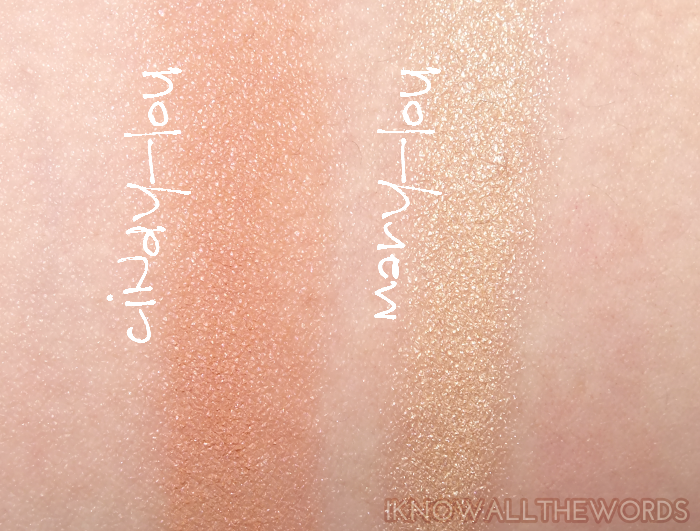 Cindy-Lou is a pinky-peach shade that gives skin a light wash of colour and a soft glow. The powder has a super fine, soft texture that lacks any shimmer or glitter pieces but gives skin a luminosity and sheen. While the shade is nicely pigmented, and does work nicely as a brightening shadow, it is fairly subtle when used on cheeks. As a highlight, it gives a soft effect, but it actually is more effective as a blush. I've been pairing a little bit of Cindy-Lou with matte blushes to give Cindy a little more pigment and little bit of luminosity to the overall look. While both Cindy-Lou and Mary-Lou have the same texture and feel, Mary-Lou is much more glowy and is capable of giving a more intense effect on skin. Other than the shades, which are both pretty universally flattering, it really comes down to how much glow you want from your highlighter. 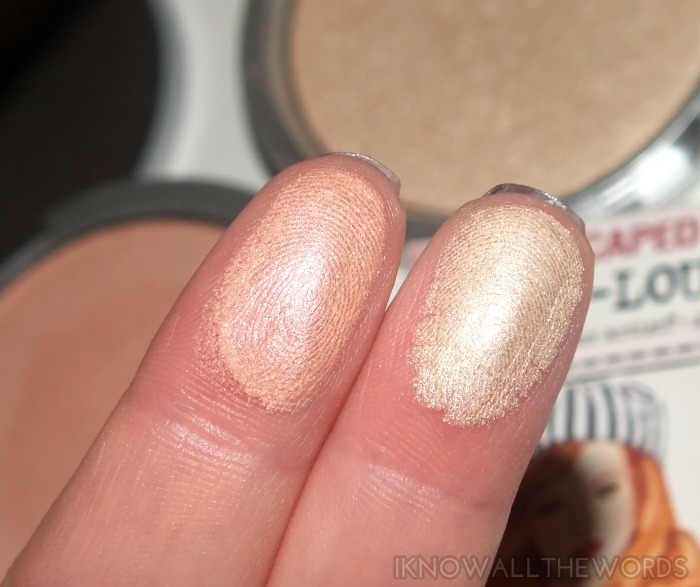 Overall, I love both shades, but will still reach for Mary-Lou most for my highlighting needs. 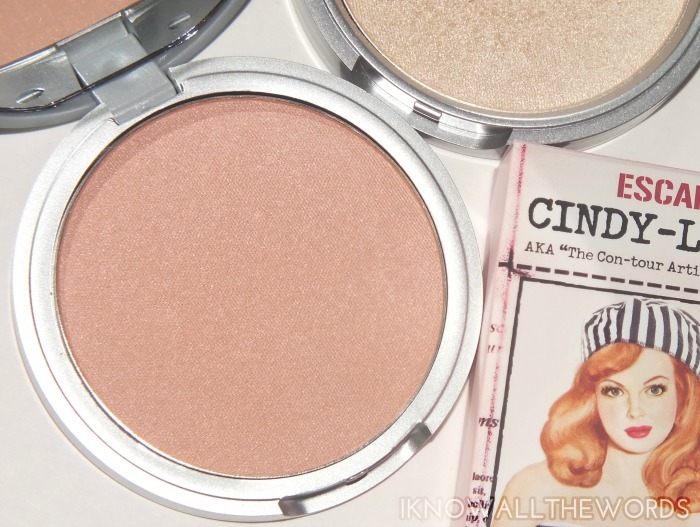 As mentioned, Cindy-Lou is great for use as a blush, especially when paired with a matte shade. Quick tip- The Balm is quite frequently featured on Haute Look, so keep an eye out for great discounts. I find the shipping from The Balm to be incredibly expensive to Canada, so I tend to stock up when Haute Look as a Balm event. Have you tried either of these? Want to? Thoughts?